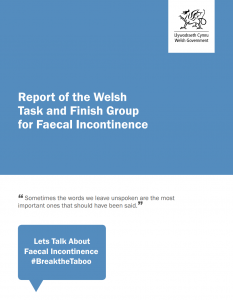 The report was the result of the efforts of a dedicated, Welsh Government funded, task and finish group on which FTWW member, Amy Marshall, represented the patient voice. We were also pleased to be able to supply the group with a short supporting report (featured in the appendices) outlining the experiences of our members. Specific recommendations included access to specialist pelvic physiotherapy, as well as sacral nerve stimulators which can help patients manage constipation and prevent incontinence. For women who have acquired injuries whist giving birth or who have sustained damage as a result of repeated pelvic operations, these interventions can be vital in improving their quality of life. We were pleased to see the Health Minister commit to including the final report’s recommendations in the work of its Women’s Health Implementation Group (WHIG) of which FTWW’s CEO is a member, and that there is continuing focus on endometriosis as a priority. We’ll continue to keep readers posted, as things progress!